It seems that everywhere we turn these days we see another appalling story related to college student debt. Whether the focus is on credit cards or student loans, the tales all focus on one concern, young people, already facing an uphill battle to establish their working future, have saddled themselves with so much debt they have literally mortgaged their future away. Increasing college costs have proven to be very challenging for families. Those increases are no doubt one reason that student debt loads have been increasing in recent years. However, the general consensus is that the burgeoning crisis could be prevented if students were offered some basic lessons in money management and personal finance. The belief is that students armed with a clear understanding of the dos and don’ts of college finances will still be able to obtain that coveted diploma without taking on tens of thousands of dollars of debt and thereby mortgaging their entire future in the process. 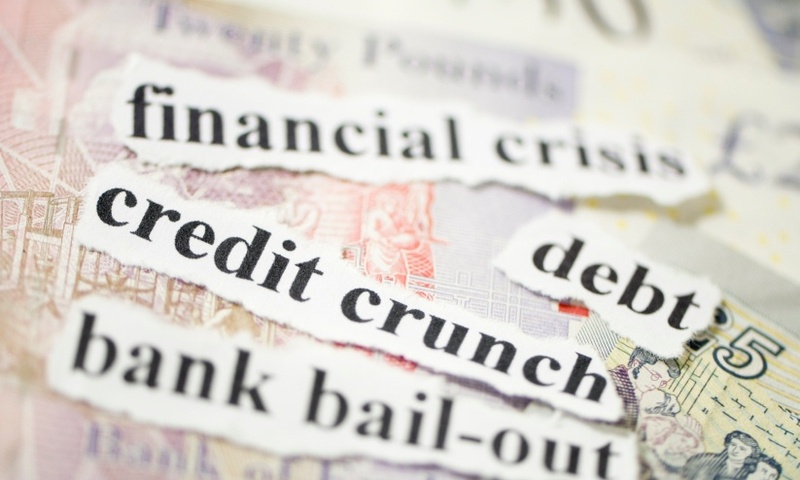 Good Debt, But How Much Should You Take On? A debt is an obligation or pledge to repay. Most times, it is a sum of money due as result of an agreement by one person or an organization to another person or organization. 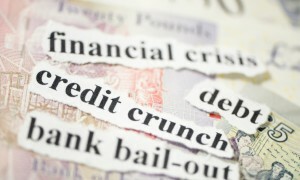 Today, any incurred debt is accompanied by an expectation of repayment, plus interest. The rationale for incurring debt is to increase a person’s immediate purchasing power by agreeing to repay that original debt, plus some agreed-upon interest in the future. While considered a reasonable choice of actions by most people, it is interesting to note that historically debt formed the basis of indentured servitude. That thought has slipped from the public landscape in recent years, but when taking on debt students would do well to think in those terms. First of all, taking on debt means you will be paying some agency quite a bit more money in the future than you ever received from them at the time you borrowed the funds. That increase in cost also means that in most cases, you will be doing so monthly for decades to come. What students should come to grips with is that a debt is a claim on your future labor and earnings. While there is the tendency to think that debt is a tool to be used to help create prosperity, a claim against your future earnings is not something to take lightly. Perhaps the greatest challenge in dealing with debt is the big difference between accruing debt and paying that debt off. One aspect is extremely easy, the other can be very difficult. First, today’s plastic-based society means that both credit and debit cards are easy to come by and easy to use. The reason that these cards are so easy to use is that a large number of people want the opportunity to claim some of your future earnings. The rationale is quite simple. As long as you owe them money, they in essence, own a piece of you and your future. As but one example, try Googling “student credit cards.” You will get pages and pages of potential credit card offers, all claiming to be the best option. These companies know that if they can get the credit card in your hands, then in a moment of perceived need, at a time when you are short some cash, you will use the card. The fact is these credit companies hope you lack the discipline to minimize discretionary spending – they are hoping you will use them. 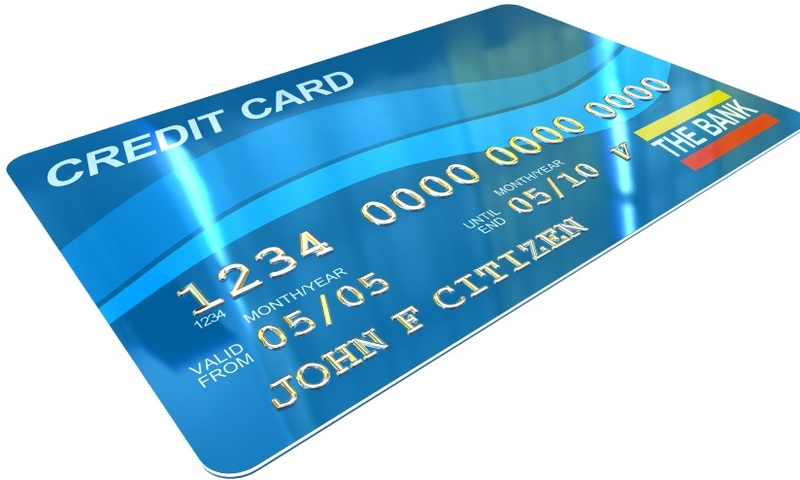 Credit card companies receive a percentage of the purchase price on every purchase. And if you cannot pay the full amount of the card at the end of the month, they make it easy for you to pay only a small portion of the bill to begin a cycle of interest charges that can build very rapidly. Card companies are hoping you will need time to pay for the item. Today more than 80% of undergraduates have at least one credit card (Nellie Mae) and as of 2004, undergraduates had an average credit card debt balance exceeding $2,100. As but one example of how easy it is to get into debt we turn to our own government and the current issues it faces. As of November 19th, 2008, the United States total public debt, commonly called the national debt, stood at $10.6 trillion. This astonishing sum translates to $37,316 per U.S. resident. In other words, each man, woman and child would need to send the federal government a check of $37,316 to pay off the debt we have created. The reason for this situation is simple. The federal government has taken on the view that it must borrow whenever it is necessary to provide the programs that we Americans need. In recent years, the federal government has spent more money than it has taken in. With each year that it spends more than it receives, it must borrow additional funds. Now, one of the biggest yearly expenses in the national budget is the interest payment that covers the cost of borrowed funds. Perhaps it is this model that has led so many adults to behave in the same manner. According to recent data, about 43% of American families spend more than they earn each year and collectively the average American credit card debt exceeds $8,000. In sum total we have accrued nearly $2 trillion in personal debt in America, or about $20,000 per household. This debt does not include one of the perceived “good” debts, money for a home mortgage. The ease with which we can accumulate debt is one key reason why it is so difficult to get out of the debt-cycle. The worst situation again centers upon credit cards. If you lack discipline, it is easy to find items you want to have and with a credit card be able to walk out of the store with those items, irrespective of your real ability to pay for them. In fact, one very misleading aspect is that credit cards are set up so that only a minimum payment is required. Because that is such a small amount, you can easily make that payment. In fact, because it is so small, you soon think you can make additional purchases. As you incur greater debt, the minimum payments remain manageable. But of course, very quickly the majority of the money you pay to the card company covers only interest and charges. Very little goes towards the original purchases. If you are not careful, soon you have monthly payments that take a significant chunk of what you are earning, yet you are doing almost nothing towards eliminating the debt you have accrued. At the same time, while you are facing these ongoing bills, you will no doubt encumber other required expenditures that will also place demands on your income. But in addition to credit card debt, students often must borrow funds to help pay for college. While borrowing for education is considered a form of “good’ debt, it is also easy to find yourself accumulating significant future payment obligations once you finish school. Borrowing three to five thousand dollars per year for school may not seem like all that much but over four years that translates to $12-20 thousand borrowed. Given that interest will also be accruing on those loans while you are in school, that sum quickly becomes several thousand dollars greater at the time repayment begins. If you are not careful, you can wind up with loan debt exceeding $25,000 and facing long-term claims on your future earnings. The National Center for Education Statistics tabulates student loan debt data. Currently, two-thirds of all college students have some student loan debt after graduation. Today, the median debt load for a college graduate is nearing $20,000 while the average now exceeds $21,000. Roughly one-fourth of all undergrads borrow more than $25,000 and a tenth borrow more than $35,000. These represent the numbers for students earning a bachelor’s degree. When it comes to graduate school, earning a graduate degree adds tens of thousands of dollars to the accrued debt. Depending on the degree program, the average student debt ranges from $42,000 to more than $125,000. However, as with a home or business loan, a student loan for school is often referred to as “good” debt because it is an investment in your future. The reason is simple, upon earning a college degree, you will have the chance for a better job and far greater earnings than a person without a degree. But how much debt should you take on in the investment process. Is $10,000 reasonable? How about the average student debt of $21,000? And is it even possible to pay off loans debts exceeding $35,000? The answer to this question is not as simple as one might think. We would probably say that yes, $10,000 is reasonable, after all, once you have earned a degree, the potential for greater pay and a better job renders this a relatively small sum of money. But what if you double that amount and move towards the median or average debt for current college graduates. It is here that things become much more difficult. We would insist that $21,000 may be acceptable or it in fact could be too much. The amount may well be an issue depending on your chosen major and potential field. The folks at MSN Money insist that monthly loan repayments from school should not exceed 10% of your expected earnings. Therefore, one key step in the process is to have some sense of what your future earnings will be then work backwards. To be safe in determining expected repayment, experts indicate that students should project an 8% interest rate return. Under such a scenario, every $1,000 you borrow will cost you roughly $12 a month to repay if you take a 10-year loan. Therefore the average college student who leaves school with $21,000 in debt faces a monthly payment of about $252 per month. If this average student earned a bachelors degree in the field of education and landed a teaching job paying $30,000 per year, he or she would have a monthly income of $2,500. At that salary, the student would be right at the 10% threshold suggested. Therefore, the $21,000 student accrued debt represents the upper limit for a profession paying in this range. In comparison, a person accruing $35,000 in student debt would face monthly payments of over $400. Using the 10% criteria, that person would need to earn a minimum starting salary of $50,000 a year beginning with their first job. Clearly, if you are considering the teaching profession, with such a debt load you would be in deep financial trouble even if you found work as soon as you finished school. Perhaps one of the most important statistics regarding debt accumulation to keep in mind relates to liberal arts graduates. Typically, many such grads have to settle for salaries under $30,000 to start. When in need of funds, students should pursue the typical financial aid process and pursue the Federal Student Loan process. 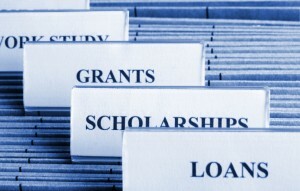 Generally speaking, all students are eligible for federal loans, regardless of credit score. The beauty of these federal loans is that no payments are due until six months after graduation as long as you maintain at least half-time student status. In addition, they will offer reasonable interest rates. Ideally, students may qualify for subsidized loans. A subsidized loan works in the same manner, no payments are due until six months after graduation, but the loan is also interest free during the time you are in school. If you borrow $10,000 in subsidized loans over the course of four years, then the month you begin making payments, you will still only owe $10,000. In contrast, unsubsidized loans are assessed interest as the funds are borrowed. If you borrow $2,000 during year one, then by the time you graduate, you will owe the $2,000 plus all accrued interest. One other reason to consider federal loans is that they also offer some guaranteed borrower protections. For instance, if you become unemployed or have some other financial hardship after college, you will have the option of deferring the loan or placing it in forbearance. 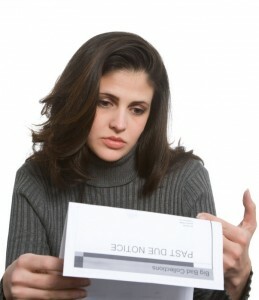 Therefore, in truly tough times, it is possible to delay the need for repayment. On the flip side, private or alternative loans should be avoided whenever possible. First and foremost, these loans often have much higher interest rates and less favorable terms for the borrower. Also, private loans do take into account the credit history of the applicant. Depending on the credit scores, various charges may be assessed. Students and parents with good credit scores receive lower rates and smaller loan fees than those with less than stellar credit histories. These loans also will accrue interest from the time dispensed until payment begins at graduation. Because of the higher rates and potential fees, students can end up paying back far more than they borrowed. It is interesting to note that federal student loan programs do restrict how much students can borrow (actually a very good thing) and that unsubsidized loans are available regardless of a person’s ability to pay for school. In contrast, private lenders have no lending limits. They will often lend the difference between the cost of college costs and your financial aid package, irrespective of the amount, provided your loan co-signor has an appropriate credit rating. As with credit card companies the reason is simple. These private lenders want a piece of your future earnings. Perhaps the most surprising aspect is that one out of every five people who take out a private loan inexplicably does not bother to apply for less expensive federal student loans. That may well be due in part to the fact that half of these private borrowers do not file the FAFSA paperwork, the fundamental step for qualifying for federal, state and institutional grants, in addition to federal student loans. It is imperative that every student realize that the vast majority of students would not even be able to attend college without some financial assistance. But the fact of the matter is you get financial aid only when you apply for it. Yet, every year millions of college bound students fail to fill out the Free Application for Federal Student Aid, or FAFSA form. Some fail to do so because they believe they will not qualify for aid. Some may feel awkward, as in being too “proud” to “ask” for help. Far more are just too lazy or simply do not adhere to the hard and fast deadlines. 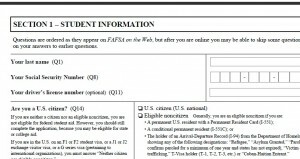 Yes the FAFSA form is a major pain. It is lengthy and in-depth. It will take oodles of time to gather all of the important data needed to fill the form out properly. And yes, you and your parents will have to disclose some aspects of their net worth and current financial status. But the FAFSA is the way to all of the federal monies. Federal grant monies and loans, both subsidized and unsubsidized, are available only to those who have taken the time to complete the form. The FAFSA is your ticket to low-interest federal loans and free grant money, yet many students miss out on low-interest federally funded loans each year for bad reasons. It is also important to realize that many other grants, scholarships and loan programs require a completed FAFSA form as well. Most importantly, due dates are hard and fast. If you miss them, you lose a golden opportunity. 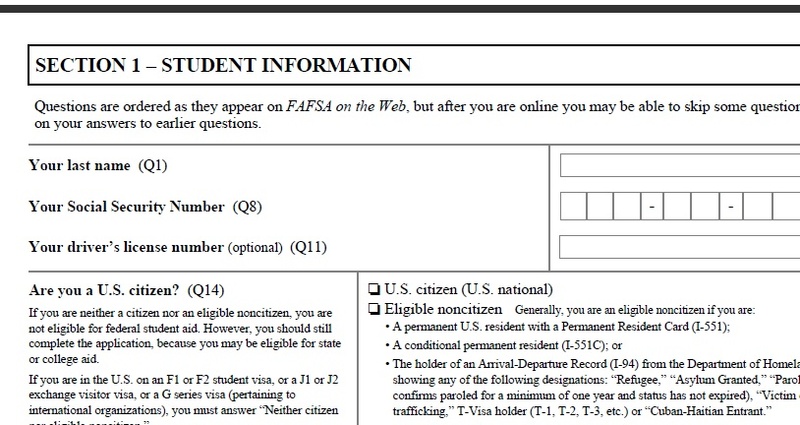 In addition to the FAFSA, students applying to private colleges may need to fill out the CSS Profile form. 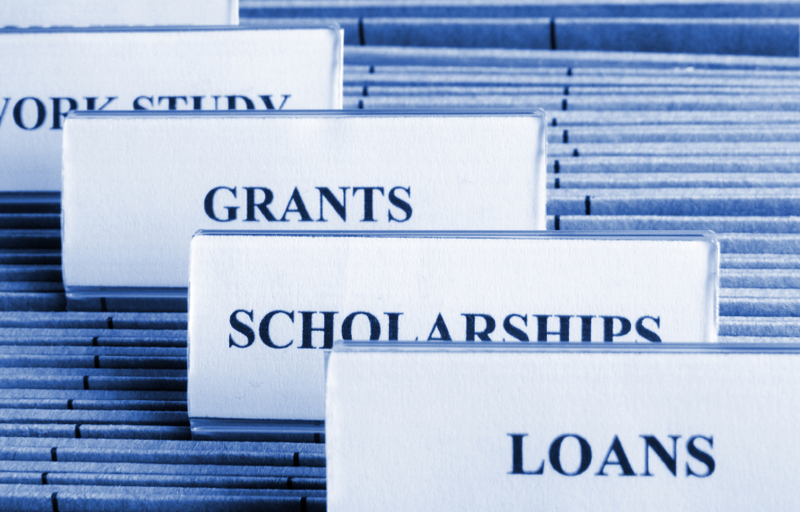 This form is often used to help with the process of awarding scholarships, grants and other aid. Most importantly, find out the aid application deadline for the college you will be attending. In other words, do not assume that all deadlines are the same as the federal deadlines. For the school-related forms it is important to realize that the money is often doled out on a first-come, first-served basis. When the money is gone, worthy applicants are simply out of luck. Therefore you should do better than meet the deadline. Lastly, any and all applications must be complete. Meeting a deadline by sending in an incomplete form is no different than missing the deadline. Your application will not be reviewed. One of the simplest ways to reduce the need for loans is to earn supplemental funds by working. First and foremost, students should get in the habit of finding summer employment, beginning with their junior year in high school. Finding a great paying summer job related to your potential major is not easy. But finding a decent-paying opportunity is really easy if you simply take the time to look and you are willing to work. The key to landing decent-paying summer work is to begin searching as soon as possible – start looking right after you return to school for second semester. Have a letter of interest and resume ready to go as soon as you see any opportunities. And also get your ear to the ground – many great options are never advertised. Anyone who borrows money for college must understand that summer employment should first and foremost be about putting some extra money in your wallet. Of course, while working in any capacity, you will gain other necessary skills for future employment, being punctual, responsible and respectful as you also learn how to be part of a team. In addition, the process will help you learn about the value of money and how to manage what you earn. If you are being paid $7.50 an hour it will take you more than a full eight-hour day to take home $50 bucks after taxes. Getting in the habit of thinking about your purchases in this manner, as in how many hours will I need to work to be able to pay for this one item, is critical. Such a thought process is invaluable in helping you understand the difference between something you want versus something you truly need and if it is worth the cost to you. Above and beyond the summer, be prepared to work at least part-time while in school. A simple expectation is to earn enough funds to pay for books and miscellaneous expenses including entertainment costs. At minimum wages, working just ten hours per week can provide more than $50.00 cash for incidentals. Seek out work-study options through the financial aid office or at other on-campus sites. For students, working on-campus is the best option – it eliminates travel and campus-related employers understand that school must come first. Simply stated, they will be more flexible about expectations than a private employer. If you do look off-campus, it does make sense to look for options that are related to your field of study first. If you can find part-time work in a local business that also will help with your future aspirations, then you are not only earning some much needed funds, you are also beginning the process of networking. Given these tough economic times, students might want to consider a college close to home. Forgoing the cost of living on campus can greatly reduce the costs of your education. Typically, the costs of room and board exceed $6,000 per year. About two-thirds of the expense comes from the housing costs and one-third for meals. Those costs should be weighed against the costs of living at home and traveling to and from campus. Reducing your college costs by $24,000 plus (room and board over four years) could well be the difference-maker in being able to graduate with modest debt. But if you must live on campus, then one of the simplest options is to consider being a resident-assistant or resident-adviser in a dorm complex. Not only will you gain a wealth of experience and have a great resume builder, on most campuses the reimbursement for these positions is quite significant, often covering a good portion of your room and board expenses. While obtaining that all-important college diploma, it is imperative you pay close attention to your finances. While it might be a great goal, completing school with zero debt could well be beyond the realm of possibility for many students. However, your goal should be to graduate with as small a debt-load as possible and one that is within your potential ability to pay once you graduate. As we stated earlier, that amount is clearly dependent on your career choice and earnings potential. Reducing debt is a two-fold process. It comes as much from reducing expenses as it does from earning money. Both aspects take great discipline and at times, personal sacrifice. Selecting a school you can truly afford is important. In addition, forgoing unneeded expenditures is critical. At the same time earning funds to help pay for needed expenditures is also crucial. 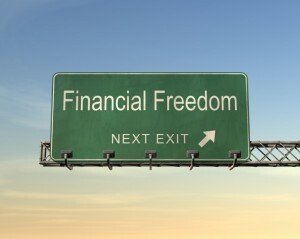 Collectively these steps are all part of an all-important, long-range personal finance plan. They are also necessary to ensure that once you have obtained that college degree, you have full access to what everyone seeks, a chance at the American dream and a better future. Flickr photo courtesy of Jenn Jenn.